Pinus Ponderosa, called yellow pine or ponderosa pine is native to the Rocky Mountains of the United States. This beautiful yellow pine can reach a height of 40 meters and is resistant to cold. 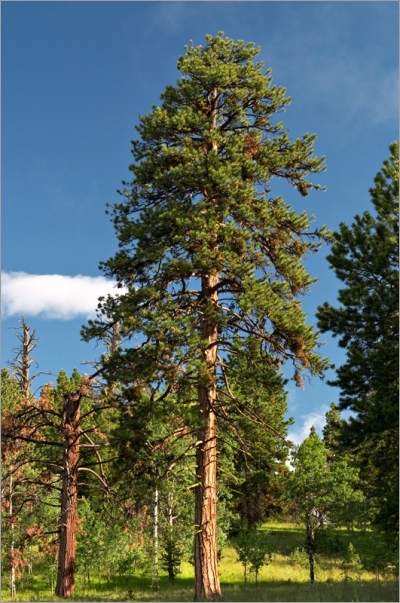 Its growth is slow in the early years (8 meters after 20 years), but Pinus ponderosa has a lifespan of more than 500 years. 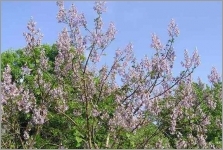 It enjoys a semi-moist soil and is used as an ornamental in our regions. The needles are 20 cm and the cone-shaped eggs are about 10 cm. The wood is very durable and lumber.